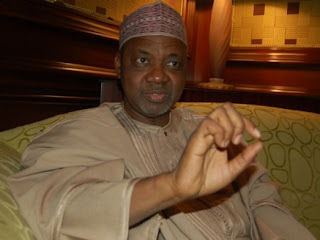 Fresh facts on the just concluded bid for the 11 PHCN Electricity Distribution Companies (DISCOs) have exposed gross irregularities that characterised the exercise with Vice President Namadi Sambo and other members of the National Council on Privatisation (NCP) showing their hands in who got what. The Nation can authoritatively report that the bid for the Eko DISCO, for instance, was highly flawed and due process wantonly breached. Whereas requirements set by the Nigerian Electricity Regulatory Commission (NERC) for participation in the bid specified that bidders must have a net worth of not less than $100million, a 28 page document entitled: ‘Report on the Assessment to Determine “fit and proper” Persons to Operate in the Nigerian Electricity Supply Industry (NESI) dated October 9, 2012’, obtained exclusively by The Nation showed that many of the bidding companies did not meet this particular requirement. Bidders in this category are: NPD Consortium, West Power & Gas Ltd, ENL Consortium Ltd, Electric Utilities Ltd for Eko DISCO; ENL Consortium Ltd, Skipper Nigeria Ltd, ICOMM Energy Ltd and Electric Utilities Ltd for Ibadan DISCO. Other firms failed the technical evaluation test. These are SEO International, West Power & Gas Ltd and Daniel Power Plant Company Nigeria Ltd for Ikeja DISCO; Skipper Nigeria Ltd, NAHCO Power Consortium, Interstate Electrics Ltd, ENL Consortium Ltd for Abuja DISCO; SNECOU Group of Companies Ltd, VIVADIS Power Ltd (ORTECH Consortium) for Yola DISCO; Profile Energy Consortium Ltd for Kano DISCO; NAHCO Energy Power Ltd, Skipper Nigeria Ltd for Kaduna DISCO; Utility Integrated Management Services Ltd for Port Harcourt DISCO; Masters Energy Oil & Gas Ltd for Jos DISCO and Southern Electricity Distribution Company, Cable & Rods Company Nigeria Ltd, Copper Belt Consortium, Duncan Freeman Company/Draytom Energy Ltd for Benin DISCO respectively. Investigation by The Nation revealed that West Power & Gas, which had been disqualified as “unfit and improper” by the 20-man committee set by the NERC at the first stage for having insufficient net worth was later given the opportunity to shore up its net worth through a foreign bank to enable it make up its deficit of $50 million. Its initial net worth valued at $50 million fell short of the requisite $100 million. Highly placed sources confided in The Nation that West Power & Gas, reportedly owned by Charles Mommoh, is close to the corridors of power. Sources further disclosed that Mr. Atedo Peterside, who is Chairman of National Council on Privatisation (NCP) Technical Committee, may have been overruled by the Vice President in the bid for Eko DISCO. Of the nine proposals for Eko DISCO, West Power & Gas was one of the four firms which failed the technical evaluation on account of insufficient net worth, but it was allegedly allowed to illegally shore up its net worth and continue as a participant in the exercise while others in a situation similar to its own were left out. This means that the stated Order of Preference submitted along with bids cannot be altered by companies midway into the exercise. Integrated Energy Distribution & Marketing Ltd, which had earlier cited Yola and Ibadan in its Order of Preference lost out in the bid for Eko and Ikeja DISCOs. Thus, with Integrated Energy Distribution & Marketing Ltd, which naturally came first in the bid for Eko DISCO out of the way due to Order of Preference rule, the preferred bidder that came second, KEPCO/NEDC Consortium, ought to have won the bid for Eko DISCO but was illegally switched to Ikeja DISCO, for which it never expressed preference, thus paving the way for West Power & Gas Consortium, which came a distant third, to secure control of Eko DISCO.